Damian Bradfield (1976) is the President and CMO of WeTransfer, based in Los Angeles. His background combines experience with the some of the world’s leading creative companies (Stella McCartney, J Walter Thompson) with launching and mentoring a range of design and tech start-ups (Kuvva, Present Plus). He brings together the ambitious, international strategic thinking of the former with the quicker, nimbler energy of the start-up world. He first joined WeTransfer as Chief Strategic Officer in 2010 and played a pivotal part in building it into the leading, much-loved creative brand it is today. Nowadays the site has 40 million active users who transfer one billion files every month. In 2015, WeTransfer took its first round of investment (series-A of $25million by HCPE) and Damian moved to LA the following year to spearhead the company’s US operations. 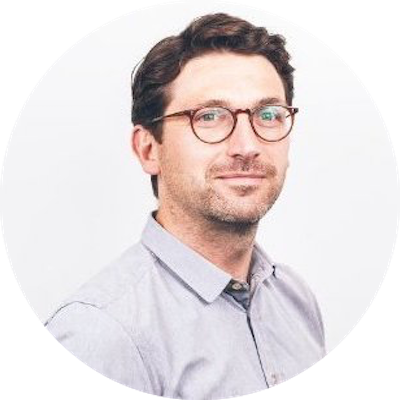 He was reIn his dual role heading the American office and leading the brand’s marketing, growth and content departments, Damian personifies WeTransfer’s commitment to supporting and showcasing the best creative talent. To this end he has brought in Gilles Peterson and Troy Carter to work with the company and set up content partnerships with the likes of FKA twigs, Rankin, Sampha and Nelly Ben Hayoun, among many others. Damian’s professional and cultural interests include moving beyond buzzwords to create genuinely human companies, the role of doubt as part of the creative and commercial processes, and how the ambivert personality type works in a collaborative professional world. including Fast Company, Designweek, Mr Porter, 33Voices and LA Weekly. Damian and Jenna discuss bootstrapping's greatest benefit - resisting conformity - the road to profitability, what it takes to scale up, and how to utilize doubt to your advantage.